Tow Mater. cars. HD Wallpaper and background images in the डिज़्नी पिक्सार कार्स club tagged: cars. I love this picture a lot and that is my favorite one right here. I love this picture. 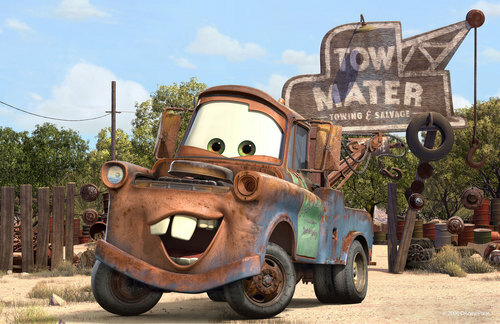 Mater is one of my favorite characters!!!! alarm clock I got for my birthday last year!